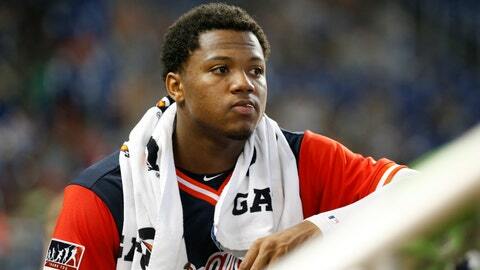 HIROSHIMA, Japan (AP) — Atlanta Braves outfielder Ronald Acuna Jr. woke up in Japan to news he had been named National League Rookie of the Year. Acuna paid tribute to his fellow nominee before Tuesday’s Game 4 of the exhibition series in Hiroshima. Acuna also had high praise for Ohtani, who played five seasons with Japan’s Nippon Ham Fighters before moving to the Angels.